The Moto E5 Play is available for $150 outright or $6 down and $6 per month for 24 months. The Moto E5 Plus is a bit more at $255 outright or $9 down and $9 per month. The Motorola E5 Play smartphone has a 5.2 inch IPS LCD capacitative display. It has 720 x 1280 pixels resolution and 16:9 aspect ratio.It's packing 8MP rear and 5MP front cameras, It runs on Android 8.0 (Oreo) OS and is powered by a Qualcomm MSM8917 Snapdragon quad-core 1.4 GHz Cortex-A53 processor. The phone has 2GB RAM and 16GB ROM expandable up to 256 GB via a microSD card slot. The phone is backed by 2800 mAh battery and comes with fast battery charging. It is available in black, dark lake and flash gray colours. 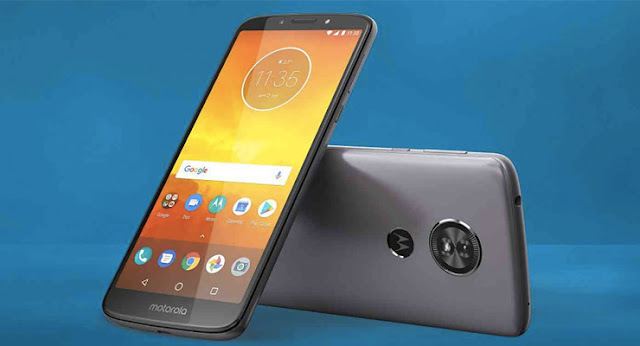 Moto E5 Plus smartphone comes with a 6.00-inch touchscreen display with a resolution of 720 pixels by 1440 pixels. It runs on Android 8.0 (Oreo) OS is powered by 1.4GHz octa-core processor and it comes with 3GB of RAM. The phone packs 32GB of internal storage that can be expanded up to 128GB via a microSD card. a 12-megapixel primary camera on the rear and a 5-megapixel front shooter for selfies.The phone is backed by 5000mAh non removable battery. It measures 160.90 x 75.30 x 9.35 (height x width x thickness) and weighs 197.00 grams.